Past In the ten years since the establishment of our first Chinese language classroom, we've helped thousands of students successfully learn Chinese. We specialize in teaching Chinese - it's all we do. We hire the best teachers and utilize proven methodologies and curriculum. Future Learning Chinese is an investment in your future. We look forward to walking with you on the road to fluency. Present Modern technology now allows us to utilize our rich experience, excellent teaching staff and proven methods to offer our Chinese language training anywhere in the world. All our teachers are certificated, native Chinese speakers with standard pronunciation. All are bilingual and have excellent professional experience. All teachers hold a degree in teaching Chinese to foreigners. 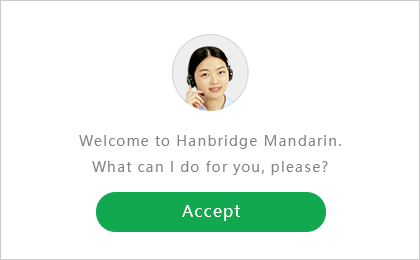 Additionally, Hanbridge Mandarin requires all teachers to continue their professional growth through continuing education classes and a Train the Trainer program. We are here to partner with you on your journey to fluency.